That's about it sports fans, thanks for stopping by do stop again!! Edgar, you have made fabulous progress on this piece. I really like the addition of the heart to dot the i in comic. Your little heart is the perfect touch for the sentiments. Bravo! And by the way, thank you for once again posting the Vivaldi. I love this suite! I turn it up loud and hit play and just... ahhh! 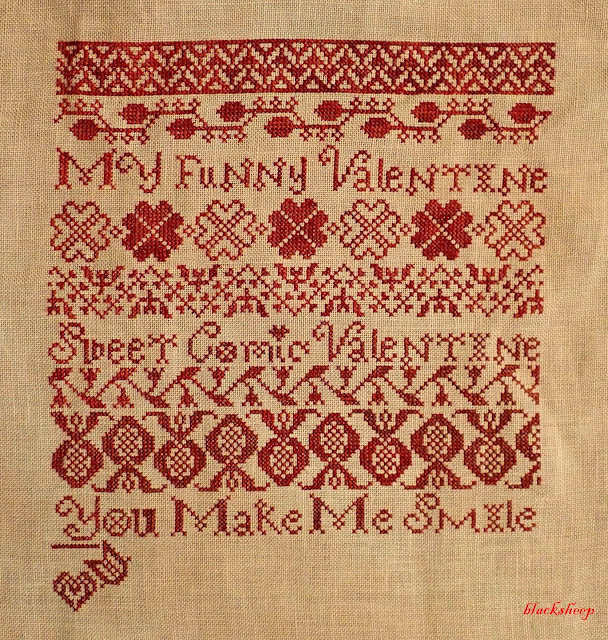 What a lovely sampler, I really like your little personal touch! I love the song and I love your stitching!!! I love it! Beautiful stitching as always! That design is so pretty. Love your little heart!